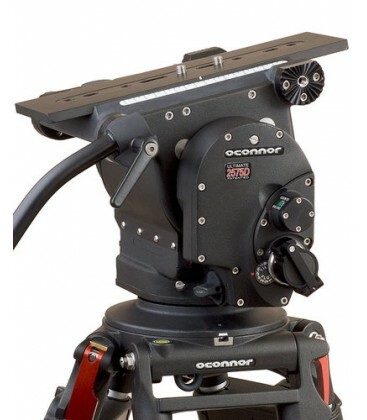 The Ultimate 2575D Head & Cine HD 150mm Bowl Tripod System from OConnor includes the Ultimate 2575D fluid head package, Cine HD single-stage tripod system with 150mm bowl, and a floor spreader. 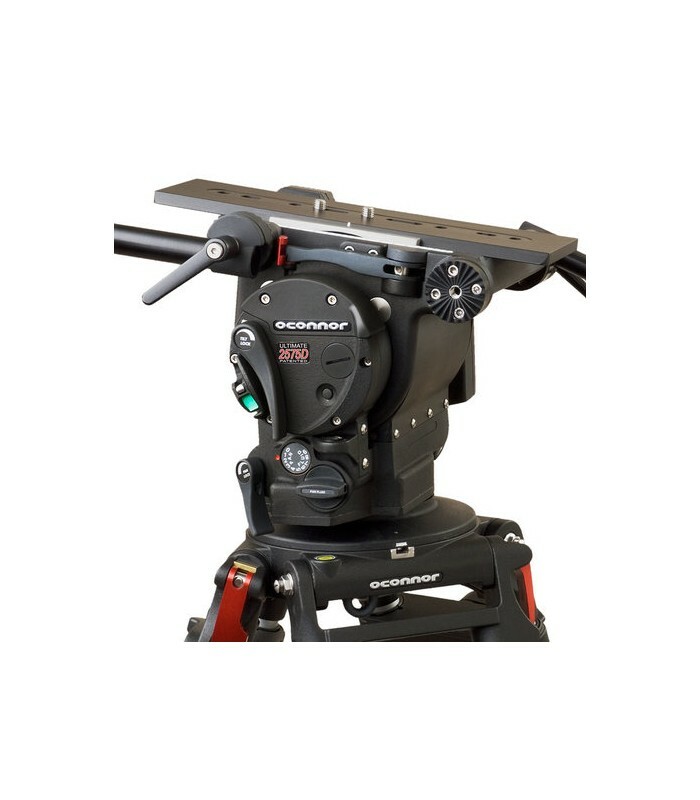 The fluid head is capable of supporting camera payloads up to 133 lb at a 4" center of gravity above the platform, and it offers a ±90° tilt range. The fluid head package comes with a 12" pan handle with 30° bend and a 11.5" pan handle extension. It also comes packaged with both a Mitchell base and a 150mm ball base adapters with tie-downs for expanded tripod compatibility. 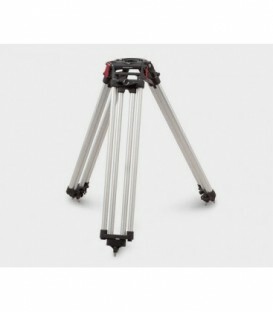 The aluminum Cine HD tripod on its own can support payloads up to 309 lb and offers height adjustment from 33.6 to 69.2". The floor spreader enhances the stability of the tripod with heavy loads, and provides protection for delicate floor surfaces. The OConnor Ultimate 2575D Fluid Head Package includes the Ultimate 2575D Fluid Head, Euro Style Quick Release, Pan Handle, Pan Handle Extension, Mitchell Base and Tiedown, and 150mm Ball Base and Tiedown. 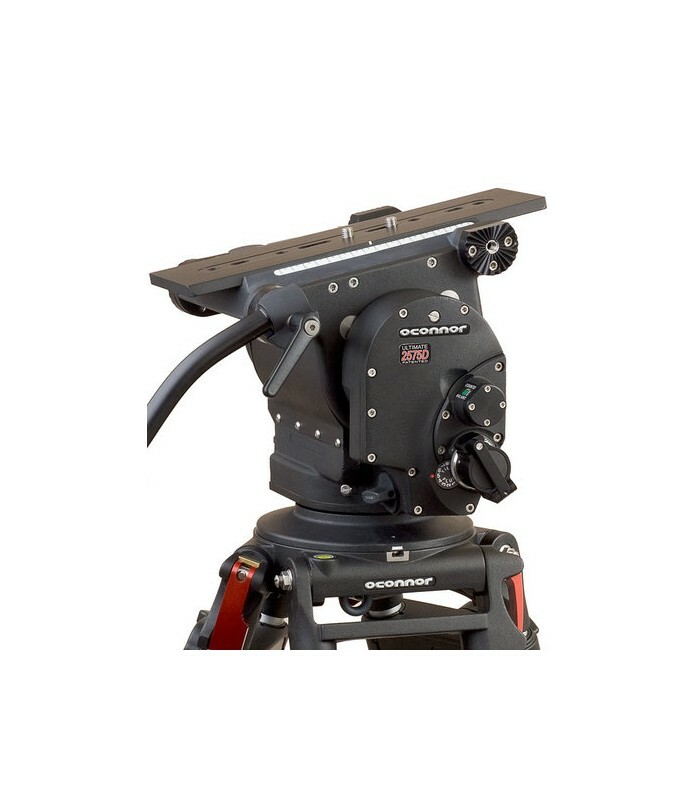 The Ultimate 2575D Fluid Head includes the sinusoidal counterbalance system for true, accurate balance at any point in the tilt range and holds cameras up to 90 lb. 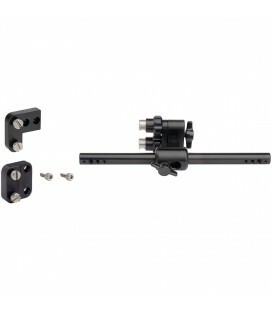 It provides stepless, ultra-smooth pan and tilt fluid drag for improved control and stability for film-style shooting. The 2575-120 Large European Quick Release with 120mm camera mounting plate is for use with the OConnor 2060, 2575C and 2575CV fluid heads. 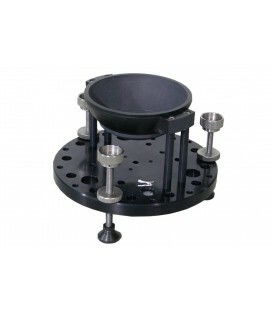 The Mitchell base adapter allows mounting all Oconnor's Ultimate Series fluid heads (except Ultimate Digital 50-200 head) on Mitchell base tripods. The 08402 Mitchell Base Tiedown is the five-lobed retaining nut used with gear and fluid heads with Mitchell threaded post mounts. 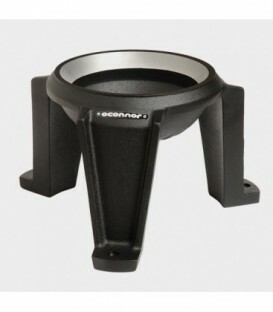 The 150mm ball base adapter allows mounting the Ultimate 2060, 2575C and 2575CV on 150mm bowl tripods. 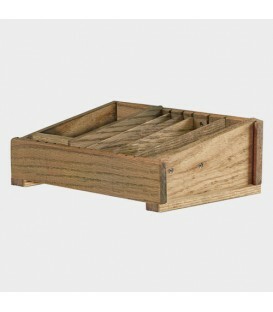 Requires 150mm ball tiedown. 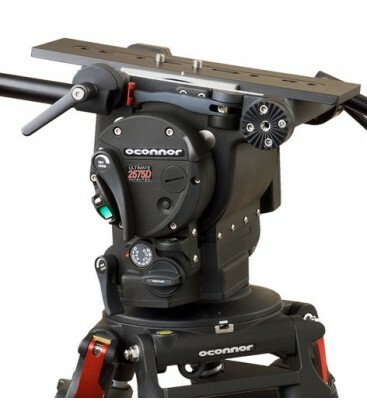 The 150mm Tiedown is for the attachment of 150mm bowl-mounted fluid heads to OConnor tripods with 150mm receivers. It is not uncommon to encounter a barrage of exotic materials when perusing high-end support systems, but you'll find no such thing when you investigate the OConnor C12210003 Cine HD Tripod. Based on time-proven aluminum alloy metallurgy, there will be no surprises, and it requires no special accommodations. 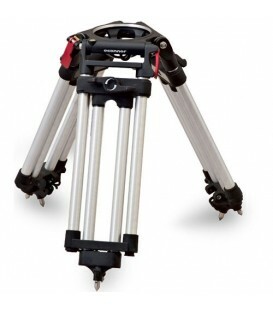 The single-stage design and die-cast spider ensure maximum rigidity for head and camera loads up to 309 lbs (140 kg), and the rotary stage clamps provide tool-free temperature-independent leg fixing. Concentrate on pressing production issues and forget about reinventing the wheel- your camera is safely suspended above the fray, and protected by the unbeatable OConnor 5-year parts and labor warranty.